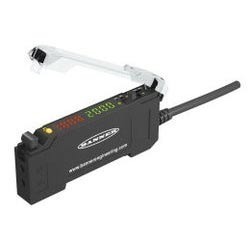 Authorized Retail Dealer of a wide range of products which include sensors series, analog sensors, label sensors, slot sensors, non contact temperature sensor and picodot sensors. 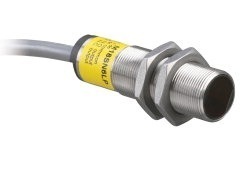 We bring forth a comprehensive range of QM42 & QMT42 Series Sensors. 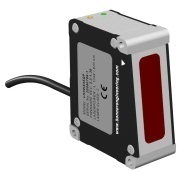 These featurecompact, low-cost dc sensors in NEMA 6 (IEC IP67) die-cast housings, Delivers outstanding immunity to electrical noise, QM42 series: Available in opposed, polarized retroreflective, diffuse, short-range adjustable-field and plastic fiber optic sensing modes, QMT42 series (slightly larger): Available in diffuse, fixed-field and long-range adjustable-field sensing modes, Offers the longest range—6 m—for any diffuse sensor on the market (QMT42), Includes marginal gain and Power ON indicator. 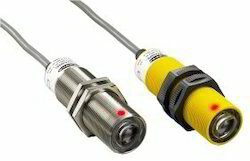 We bring forth a comprehensive range of Q25 Series Sensors. Our sensors are featured withEZ-Beam technology, with specially designed optics and electronics for reliable sensing without the need for adjustments, Completely epoxy-encapsulated to provide superior durability, even in harsh sensing environments, Features rectangular 25 mm plastic housing with 18 mm threaded mounting base, Uses innovative dual-indicator system to take the guesswork out of monitoring sensor performance, Available in models for ac or dc power and bus network compatible connection, Includes advanced diagnostics to warn of marginal sensing conditions or output overload (dc models). 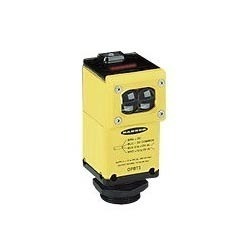 We bring forth a comprehensive range of M18 Series Sensors. 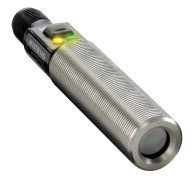 Specially designed EZ-BEAM style optics and electronics for reliable sensing without adjustments, 10 to 30V dc with NPN or PNP outputs, 18 mm stainless-steel threaded barrel sensor, Available in opposed, polarized and non-polarized retroreflective, diffuse and fixed-field sensing modes, Marginal gain indicator with alarm output, Dual-LED multi-function indicators for monitoring sensor performance. 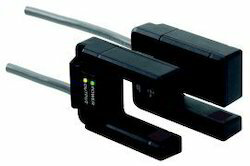 We bring forth a comprehensive range of SM30 & SMI30 Series Sensors. 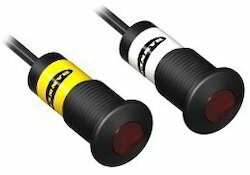 Our sensors feature EZ-BEAM technology, with specially designed optics and electronics for reliable sensing without adjustments, Offers choice of 30 mm plastic or stainless-steel threaded barrel, depending on application, Available in standard, high-power or intrinsically safe opposed sensing modes, Available in models for ac or dc supply voltages (standard and high-power SM30 Series), Certified as intrinsically safe for use in hazardous atmospheres (SMI30 Series), Uses positive sealing to eliminate even capillary leakage; lens is quad-ring sealed, Exceeds IEC IP67 (NEMA 6P) ratings; ideal in equipment wash-down environments, Includes advanced diagnostics to warn of marginal sensing conditions or output overload (dc models), Offers three modulation frequencies to minimize optical crosstalk from adjacent sensor pairs (high-power and instrinsically safe models). 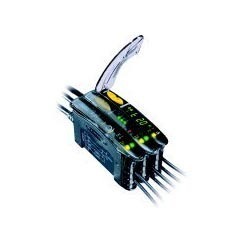 Our company is engaged in offering a comprehensive range of S30 Series Sensors. 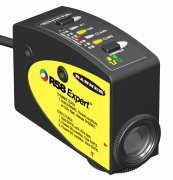 These features EZ-BEAM technology, with specially designed optics and electronics for reliable sensing without adjustments, Completely epoxy-encapsulated for superior durability, even in harsh sensing environments, Features 30 mm plastic threaded barrel, Available in opposed, polarized retroreflective and fixed-field sensing modes, Uses innovative dual-indicator system to take the guesswork out of monitoring sensor performance, Available in models for ac or dc power and bus network compatible connection, Includes advanced diagnostics to warn of marginal sensing conditions or output overload (dc models). 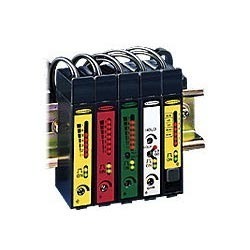 Our company is engaged in offering a comprehensive range of Q40 Series. 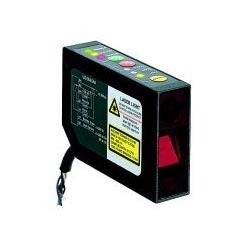 Our series featureEZ-BEAM technology, with specially designed optics and electronics for reliable sensing without adjustments, Completely epoxy-encapsulated for superior durability, even in harsh sensing environments, Features rectangular 40 mm plastic housing with 30 mm threaded mounting base, Uses innovative dual-indicator system to take the guesswork out of monitoring sensor performance, Available in models for ac or dc power and bus network compatible connection, Includes advanced diagnostics to warn of marginal sensing conditions or output overload (dc models). Our company is engaged in offering a comprehensive range of TM18 Series Sensors. 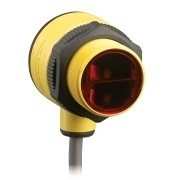 The wide range of products offered by us is featured with T-style housing with 18 mm threaded lens, Product line includes models with enhanced immunity to noise, including high-speed-switching fluorescent lamps and EMI, 10-to 30V dc supply voltage, IP67 and IP69K models available, Two LED indicators (Green and Yellow). 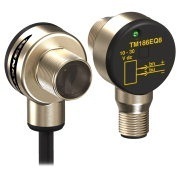 Our company is engaged in offering a comprehensive range of T18 Series Sensors. 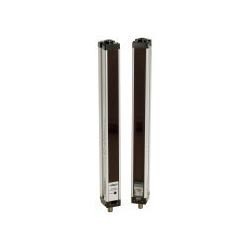 These are featured withEZ-BEAM technology, with specially designed optics and electronics for reliable sensing without adjustments on most models, Completely epoxy-encapsulated to provide superior durability, even in harsh sensing environments; QD models rated IP69K, Features T-style plastic housing with 18 mm threaded lens, Uses innovative dual-indicator system to take the guesswork out of monitoring sensor performance, Available in models for ac or dc power and bus network compatible connection, Includes advanced diagnostics to warn of marginal sensing conditions or output overload (dc models). 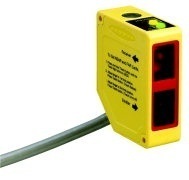 Our company is engaged in offering a comprehensive range of SB12 Series Sensors. 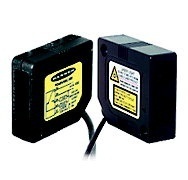 These areEasy-to-mount; no brackets required — choice of threaded models with retaining nut or unique snap-in models, Small, 12.7 mm diameter opposed mode sensor pair, Cost effective for large volume applications, Narrow effective beam allows for multiple sensors in close proximity, LED status indicators for Power ON, Output Overload, Signal Received and Marginal Signal, Light Operate (LO) or Dark Operate (DO), depending on model. 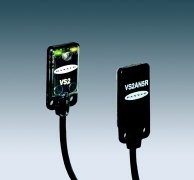 We bring forth a comprehensive range of VSM Series Sensors. 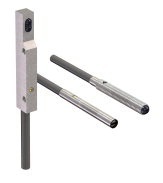 These are tough – 300 series stainless steel body with sapphire lens that will resist a wide variety of chemicals, Tiny – complete sensor in 4 mm barrel (about the size of a single optical fiber assembly), High performance – advanced convergent optical design for very repeatable sensing range, Narrow beam – well focused allows the entire sensor to be recessed into the fixture, Smooth housing – for hygienic applications requiring cleaning, Varied range – 10, 20, 50 and 90 mm convergent; 250 mm through-beam. 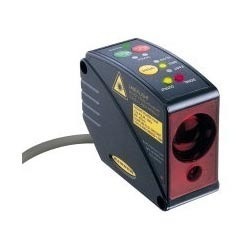 Our company is engaged in offering a comprehensive range of VS2 Series Sensors. 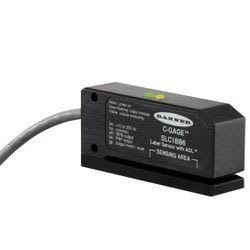 These features EZ-BEAM technology, with specially designed optics and electronics for reliable sensing without adjustments, Available in opposed and convergent sensing modes, Ideal as a low-cost, high-quality miniaturized solution for confined areas, Offers 10 to 30V dc supply voltage with NPN or PNP output, depending on model, Available in dark- or light-operate models, Offers flat front mounting or optional bracket. 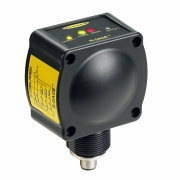 Convergent- and retroreflective-mode laser sensor delivers precise position detection, inspection and counting. Powerful retroreflective models offer long-range retroreflective sensing. Fixed-field technology in the convergent-mode models ignores objects beyond the maximum sensing distance. Convergent models have precise 0.25 mm beam width at the convergent focus point. Retroreflective models have a precise, narrow beam to sense small objects at close range or larger objects to 10.6 m.
Models are available with compact lightweight housing (PD45 models) or with environmentally sealed housing (PD49 models). 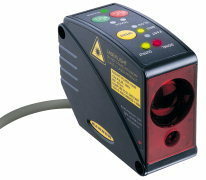 Closely spaced infrared beams detect objects as small as 5 mm wide; edge resolution is 2.5 mm.